We love this quote from Dickens as it shares the concept of people opening their hearts to each other during this holiday season. Christmas is a wonderful time of family and friends sharing their hearts of love and appreciation toward each other. We here at Grow The Dream appreciate you and want to wish you a very Merry Christmas, full of kindness, forgiveness, love, and joy. On behalf of the entire Grow The Dream family, our sincere prayer is that you and yours experience all the joys of the season. May 2015 be your most prosperous year yet! 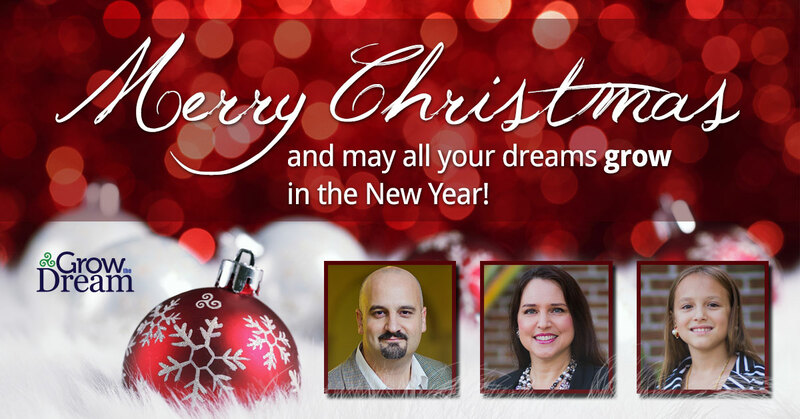 And for those who we are privileged to serve in any way, we look forward to helping your dreams grow in the New Year!